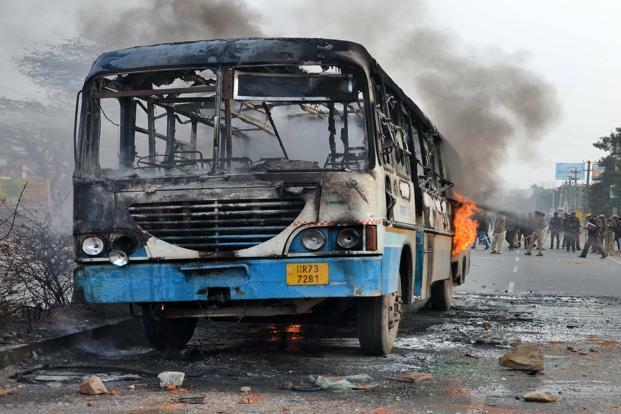 At Agra-Lucknow expressway, a major fire broke out in a passenger AC bus on Sunday night. The incident happened near Mithepur village in Karhal Tehsil of Mainpuri district. The bus collided with a divider and caught fire.